Waiting. Watching. Unseen by normal eyes, but all too visible to Slim MacKenzie, a young man blessed - or cursed - by Twilight Eyes. Lurking in the darkest shadows of an eerie, moonlit carnival. Feeding their twisted needs with human suffering - and fiendishly plotting the downfall of the human race. But don't scream. They'll hear you. 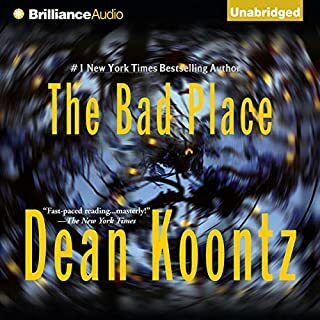 ©2008 Dean Koontz (P)2008 Brilliance Audio, Inc.
My wife and I spend countless hours on the road. 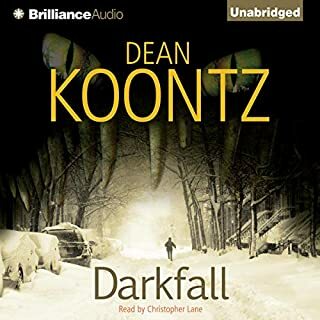 Dean Koontz almost always delivers. This particular book is one of those occasions where he gets it right. There are some mature chapters in the book so younger listeners may be discouraged but I would say this is a gripping tale from his earlier days and it will keep you up while pulling and all nighter. 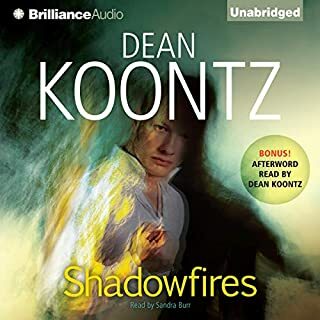 If you like Mr. Koontz' Odd Thomas series, you will like this. Without doubt this book served as the authors inspiration for Odd Thomas. Certainly the Odd Thomas series has received more attention and is more popular. Nonetheless, there is no doubt this is similar. The narrator is excellent and enjoyable. I would recommend reading this while awaiting for the next in the Odd Thomas series. Nice and creepy, like only Koontz can be. Couldn't stop listening to it. I really liked the characters. Might have to revisit this one. J. "Eye" say Read This Book! Once again a knock out punch from Koontz! This sort of was along the lines of Water for Elephants, well in is Dean Koontz sort of way. It is really good! Wow what a good Book! The books starts out interesting but a little slow. It is kind of like how the cars on a roller coaster are pulled slowly up the first big hill. The last two thirds of the book is a total horror ride! An exciting thrill ride! Very imaginative and Insightful of the human condition. My favorite Koontz novel. I eagerly await a sequel!!! 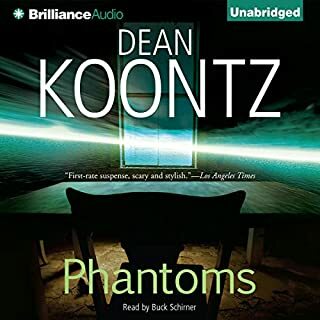 I really enjoyed listening to this Dean Koontz book. The plot was well maintained and had a steady pace. The only reason I didn't give it a 5 star rating was because the "sci-fi" aspect of the novel threw me off ground a couple times. But overall great quality novel and good narration. As always, Dean Koontz delivers. This book is riveting with fantastic characters you will love! This book takes you places you never thought of. 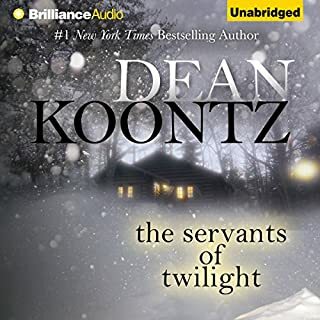 Dean Koontz brings you characters that explain much of the evil in this world. But with it always the good gifted folk that can battle the evil forces. A truly good story! Keep them coming Mr. Koontz! I have loved this book for many years and hearing it on audio was like having the story again for the first time. This is more a gripping thriller than a scary horror story. The plot is imaginative, well paced and in parts very tense. The characters are very convincing and I really found myself caring what happened to them. Highly recommended. My first Dean koontz Book and definately not my last. loved every minute of it from start to finish. Highly recomend it! This book is hard going. Koontz doesn't use a sentence to describe something when he can use a paragraph instead. Two out of every three sentences could be trimmed from this book and it would lose nothing in the edit. I kept finding myself wanting to yell "Okay, okay, I get the picture, get on with the story!" The premise underlying the story itself is weak and undeveloped. It's like something you'd expect from a hastily drafted Stephen King novel. 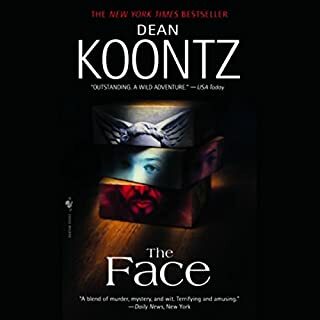 This is my second and last Koontz book. 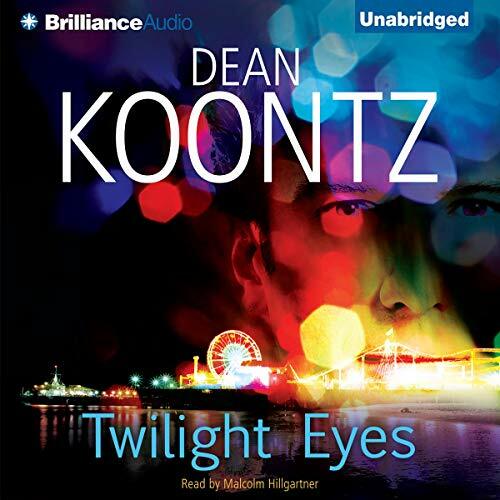 I am an avid Koontz listener/reader but this was definitely not my favourite book. Great narration as always with his books but I struggled to keep listening.